Shawn: Although, seemingly formulaic and reeking suspiciously of U.S. Marshalls (I was waiting for Tommy Lee Jones to pop out and start barking orders about finding Richard Kimball in the trailer), the high-energy and the strong cast of Chase makes it certainly worthy of consideration. I’m not jumping out of my pants about it yet but it is a Jerry Bruckheimer production and that definitely makes it worth watching for at least the first three or four episodes. “Cautiously optimistic” is the best way to describe my enthusiasm for Chase. Shawn: Alright, that is the absolute last time I automatically give a show the benefit of the doubt for being a Jerry Bruckheimer production and I should have had this policy in place a long time ago because of CSI alone (but let’s be fair… I did use the phrase “cautiously optimistic.”). Bruckheimer’s problem in general is that when he really gives a damn, he gets behind projects that although may not have long-term success are at least original (see: Justice, E-Ring). When he doesn’t, he reverts to bland and intelligence-insulting procedurals like Chase. One thing I can say about Chase is that the there is certainly a lot of that during the hour, in fact that’s about all they do and yes it gets very stale, very quickly. 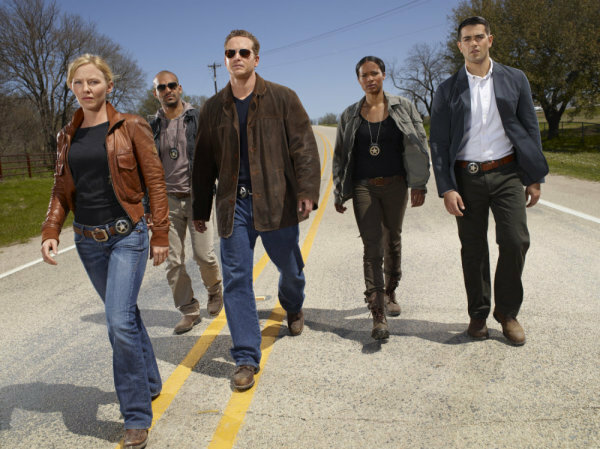 When they aren’t running all over Texas, they are sitting around a room and doing the psychoanalysis version of CSI but instead of a forensics investigation based on actual evidence, this crew comes up with off-the-wall behavioral theories about their fugitive’s psyche and it just so happens that everything they predict about the fugitive’s current and next moves is absolutely what the bad guy is doing! They literally NEVER make a mistake or misstep and it left me with one conclusion: these jokers don’t need to be working for the Marshal Service collecting government salaries, they need to hook up with Miss Cleo and make some real money. Chase is boring and contrived. The characters are clichéd, poorly written and conceived, and furthermore generally cringe-worthy and unlikable. The dialog is ridiculous, and the general premise of the show is that all you need to know about Texas is that everyone in the state worships Waylon Jennings and knowing that will allow you to track any fugitive. The only thing that this show has going for it at all is that it’s fast paced and very well-shot which I think was done on purpose to distract the audience from how bad the show is plot and character-wise. Either that, or they just sunk all of their money into the technical side of production and NONE into the writing side. For the record, the actors are fine and actually all have been traditionally very good. The problem is the writing. 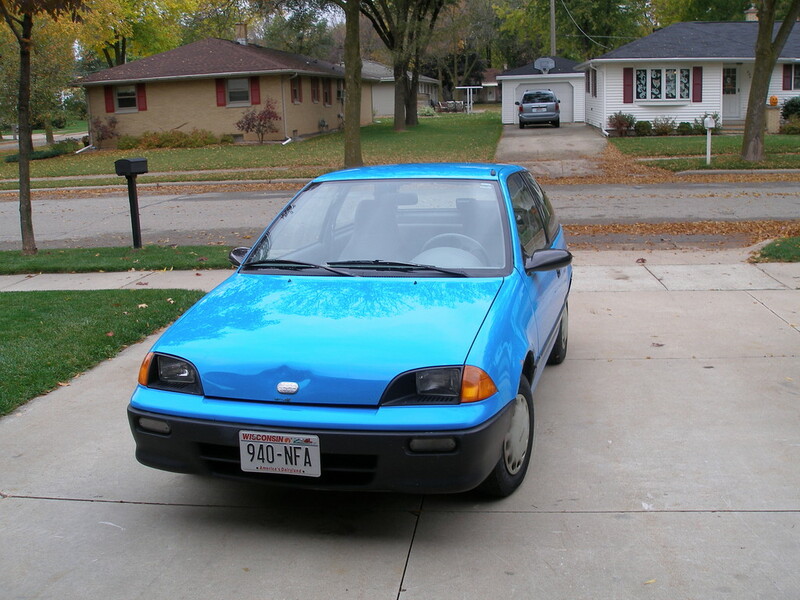 You can’t polish a turd and Jeff Gordon can’t win a race driving a 1993 3-cylinder Geo Metro. Oh, and one last thing, Jerry… no one likes seeing the portrayal of a family terrified and graphically murdered execution-style during the opening sequence of a pilot… NO ONE. Watch full episodes of Chase, here. This entry was posted in Review and tagged 1993, amaury, and, annie, boot, break, bruckheimer, carribean, case, cat, cleo, cold, cole, country, cowboy, crime, criminals, csi, csi: miami, csi:ny, daisy, dallas, deputy, desperate, drama, ford, frost, fugitives, geo, giddish, gordon, harrison, hauser, housewives, jeff, jennifer, jennings, jerry, jesse, johnson, jones, k-vlle, kelli, kimball, l, lee, life, lone, Lost, luke, marco, marshal, martinez, metcalf, metro, miss, mouse, music, nascar, NBC, nolasco, of, ogbaa, past, pirates, prison, procedural, reunion, richard, rollins, rose, STAR, states, texas, the, tommy, u.s., united, watson, waylon, word. Bookmark the permalink.